By Leah Dobrinska. Jul 6, 2017. 9:00 AM. The Nobel committee is known for its “prize motivation” citations when it awards its coveted Prizes each year. We hear these short snippets in articles and press releases about each winner, and they serve their purpose well: they are brief snapshots of why the winner won. While Nobel Prize in Literature winners are chosen based on the entire body of their work, in some cases, the committee cites a specific example. For example, in 1954 when Ernest Hemingway won, the committee said it was “for his mastery of the art of narrative, most recently demonstrated in The Old Man and the Sea…” On the opposite end of the spectrum, sometimes the prize motivation is much, much more over-arching. 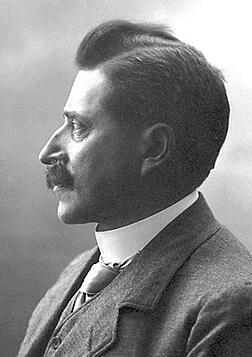 Case in point: when Carl Gustaf Verner von Heidenstam won the Nobel Prize in Literature in 1916, the Nobel committee said he was awarded “in recognition of his significance as the leading representative of a new era in our literature.” This is certainly high praise, but also quite general. Who was Verner von Heidenstam? What did he write, and how did he lead us into a new era of literature? Who Was Verner von Heidenstam? Verner von Heidenstam was born in 1859 in Sweden to a noble family. While he initially wanted to be a painter, he turned his attention fully to poetry and became one of the most prominent Swedish poets in the late nineteenth and early twentieth centuries. 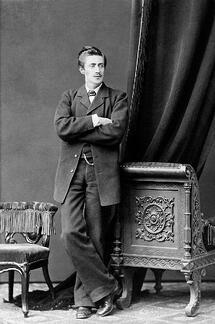 His station in life allowed him the opportunity to travel, and an article in The Nation, published in 1916 shortly after the announcement of his Nobel win, cites his travels to the Orient and Italy as inspiration for his first volume of poetry, Vallfart och vandringsår, or Pilgrimage: The Wander year, which was published in 1888. Right from the start, Verner von Heidenstam’s poetry was significant in Sweden. According to Swedish critic Sven Söderman in his presentation of the 1916 Nobel Prize, Verner Von Heidenstam’s Pilgrimage: The Wander Years “marked an epoch in the modern literature of Sweden. In truth it gave the final blow to the realistic school, enemy of all imagination, which was then dominant in Sweden and which since 1880 had darkened literature with its sadness and its gloom. This was the first manifestation of a new poetry in which free individuals, led only by the logic of their imagination, worshipped beauty for its own sake." There is a spark dwells deep within my soul. Is my life's aim both first and last, the whole. It slips away, it burns and tortures me. That little spark is my life's misery. Verner von Heidenstam is an intriguing poet, to be sure. We hope that by fleshing out his Nobel prize motivation, we’ve piqued your interest. If you’d like to read more of this Swedish Nobel laureate, we’d point your attention to his collected works, which were published in 23 volumes between 1943-1945. For the interested collector, we've seen volumes of Verner von Heidenstam's notable works floating around the marketplace for a range of prices, from $100 to several hundred dollars. As always, we recommend researching and consulting a trusted source for bibliographic information regarding edition and translation.